The topic for the Department's weekly drill on Monday, January 28, 2019, was Ambulance/EMS overview. Members of the North Salem Volunteer Ambulance Corps brought one of their ambulances to the North Salem firehouse for a few hours. During the evening, we went over the basic operations of the ambulance and provided an overview of some specific equipment on the ambulance that we do not carry on our firetrucks. This training helps our firefighters assist NSVAC personnel at EMS calls in town throughout the year. 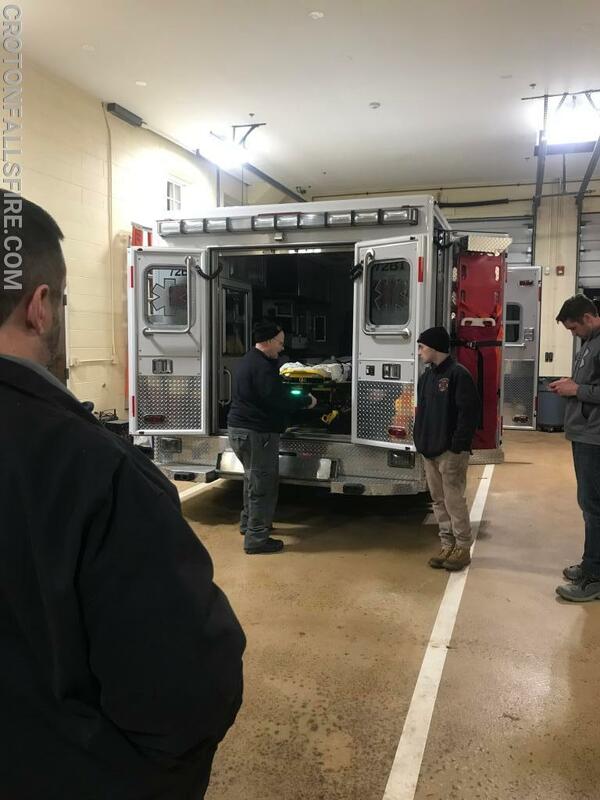 For a variety of reasons, the Croton Falls Fire Department responds to EMS calls along with NSVAC and our 18 EMTs provide care to patients awaiting emergency transport to a hospital in the area. Thank you to NSVAC for their continued support and partnership.